The 2016 Toyota Prius is already a beautifully designed car in its own way. But, for some people, beautiful is not enough. 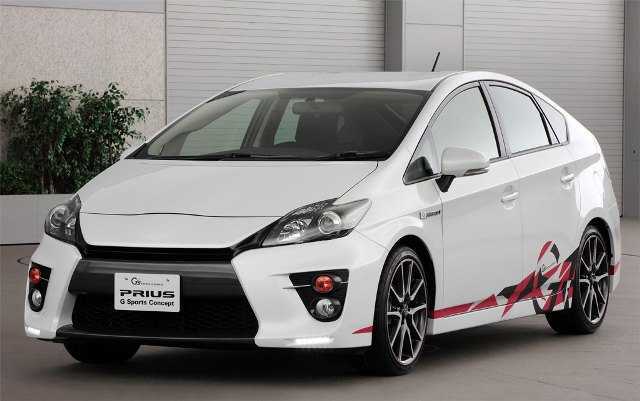 To satisfy those customers and their needs, Toyota apparently has some tuning kits for the 2016 Prius up its sleeve. According to leaks from a Japanese website, Toyota will offer several add-ons, body enhancement accessories and different wheel sizes and shapes for the 2016 Toyota Prius. The most notable accessories are in the wheels section, where Toyota offers a wide array of rims. Most of the accessories in the tuning kits are inspired by the Toyota Racing Development and Modellista section of the brand. The two packages offer mostly subtle changes, but they do add more character and style to the 2016 Prius. The first body kit tuning package is developed by the Toyota Racing Development section and includes twin exhaust system as an optional system for the rear apron. The two different design options for the front include two different front bumpers and an addition of LED running lights for the daytime. To complement the new sporty package, Toyota has included several options of wheel sizes, with the size ranging from 15 to 18 inches and different rim designs. The two different tuning styles for the exterior are Icon and Up-Grade design. Each of the two design styles carries its own enhancements and additions to the exterior. Of course, Toyota is also offering a more traditional, factory inspired approach for the 2016 Prius. For the factory inspired approach, Toyota offers original mods for the Prius. One of those is the aerodynamic package that turns your hybrid vehicle into a sporty race car, but with the traditional aspect of the Toyota Prius. 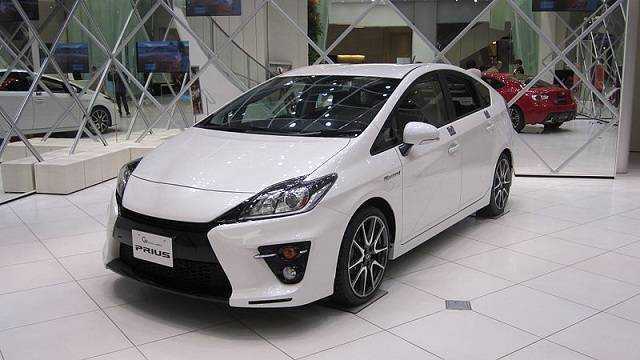 That being said, the 2016 Toyota Prius will offer a series of improvements in the interior and under the hood as well. The tuning kits are just the extra kick that some customers want. Under the hood, Toyota will offer a new engine, reportedly a 1.8-liter engine with internal combustion. The new engine will offer more mileage, but also better thermal efficiency in some conditions. According to Toyota, the new engine will make the hybrid vehicle more useful in certain conditions, but the company doesn’t reveal exactly what those conditions are. As for the technology improvements, reports are that the 2016 Toyota Prius will be offered in electric all-wheel drive system. With an all-drive system, the 2016 Toyota Prius will be better suited for the road as the driver gets more control over the vehicle. Some security enhancements and innovations will also make their way in the 2016 Prius, but it is still unknown whether they will be offered for the base model, or only for the higher trim models.